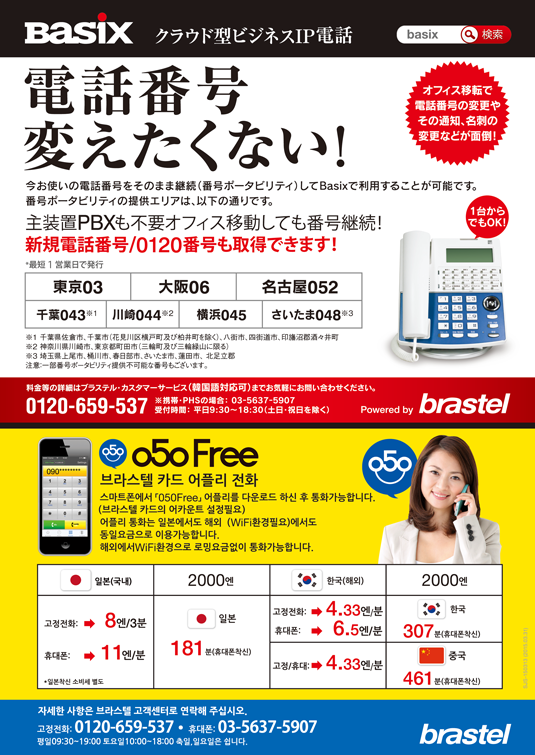 Brastel, Basix and 050 Free. Advertisement, SJS. 2016, April. Japanese and Korean. 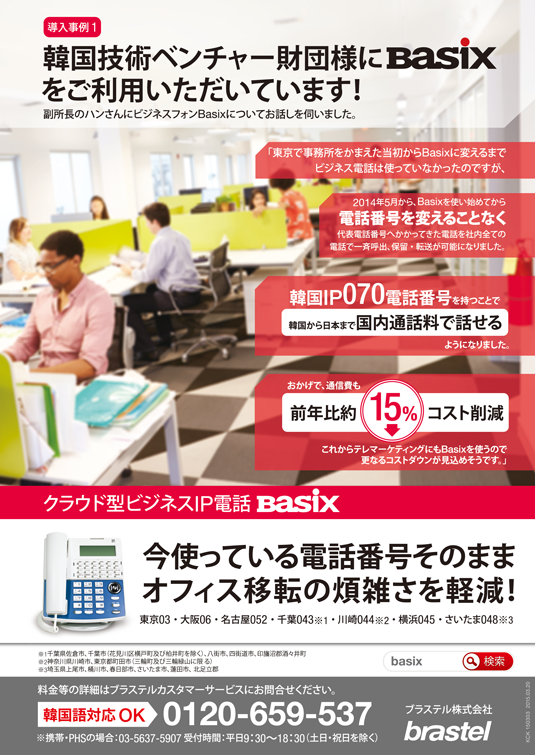 Basix, 050 Free, Japan Travel SIM Card. Advertisement, Sekatsu Jyoho Shimbun. 2015, June. Japanese and korean. Basix and 050 Free. Chirashi. 2015, March. Japanese and korean. 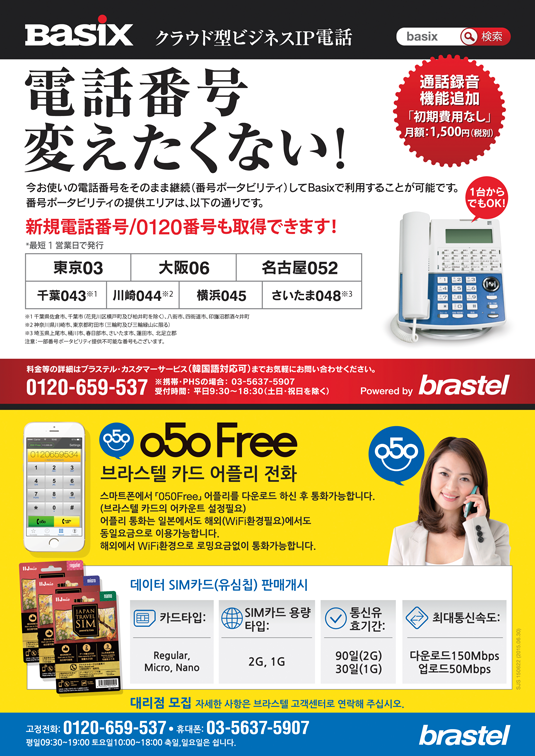 Brastel Card, 050 free, Japan Travel SIM. 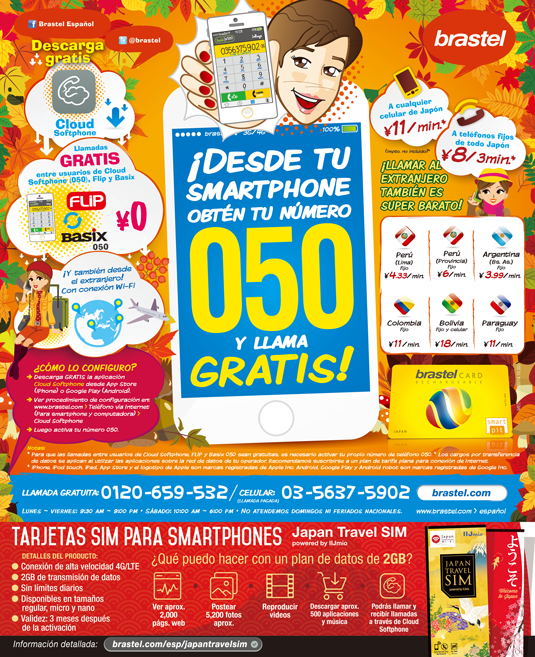 Advertisement, Mercado Latino. 2014 – November. Spanish.